The story takes the form of a letter, written by Gemma to Ty, reflecting on those strange and disturbing months in the outback. Months when the lines between love and obsession, and love and dependency, blur until they don't exist... Almost. A young English teen is on her way to Vietnam with her aristocrat parents. Gemma feels someone watching her, his blue eyes familiar, yet too intense. He introduces himself as Ty over a friendly coffee at a cafe within the airport, when suddenly Gemma's world comes crashing down. She is drugged, dragged onto a plane bound for Australia. She's been stolen. She's expecting to be sexually assaulted or murdered, but she still remains unharmed. She finds herself in a wooden shack, in the middle of nowhere, with only sand as far as the eye can see. How can you escape when you have nothing to escape to? Ty didn't choose a random girl to take against her will, he's been watching Gemma since she was ten years old. He has seen her grow up in the cold concrete London jungle, seen the parental neglect, heard the conversations and believes he is saving Gemma from herself. He is in love with her. In the middle of nowhere, Ty has been preparing for Gemma's arrival for two years. Over time, he teaches Gemma about the beauty of the land, to somehow appreciate the life he has forced upon her and that he'll always protect her. Gemma finds herself slowly identifying herself with her captor, seeking him out. She knows she needs him, but to what extent? There is far more to Ty than the monster that stole her away. 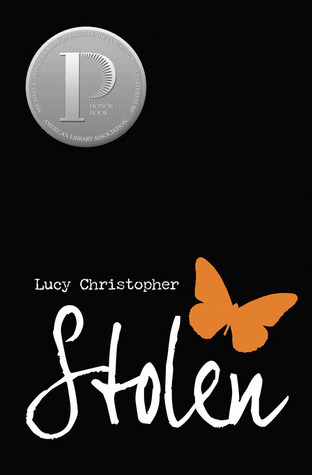 Stolen is told from Gemma's point of view, in a letter to Ty, her captor. The story isn't for the faint of heart, as countless children are taken from their families each year. The reader lives through the traumatic abduction with Gemma. From fear, anger, depression, even to a sense of acceptance. Set in outbreak Australia, the descriptions of the wild, open land are hypnotic and poetic, bringing a sense of calmness to the storyline. This book is far more than a black and white case of abduction, more than a sinister monster who took a teenage girl away from the world she's ever known. Gemma's letter recalls how Ty romanticises the land, the life and the crime he ultimately committed, but these are Gemma's thoughts and they feel more complex than simply a case of Stockholm Syndrome.